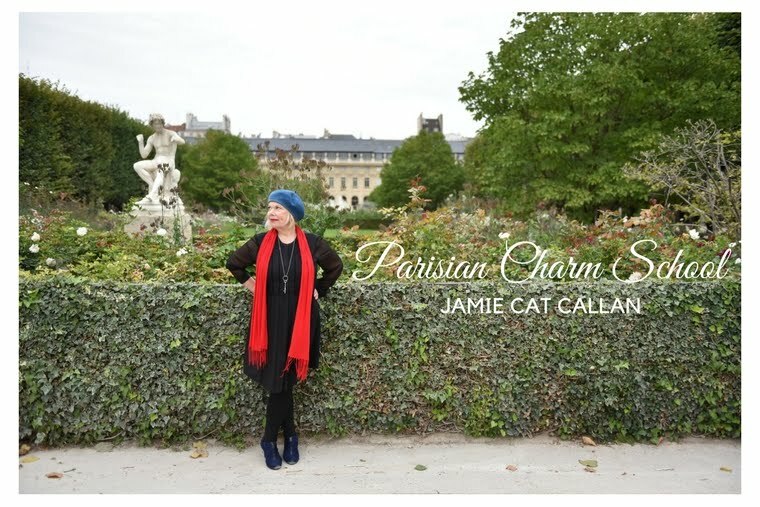 Jamie Cat Callan: Bonjour, Palm Beach! How lovely to be invited to speak at The Society of the Four Arts in beautiful Palm Beach! 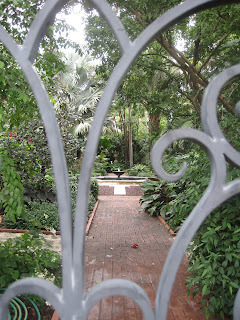 The grounds are so lovely and peaceful and you can find all these "Secret Gardens." Very French! 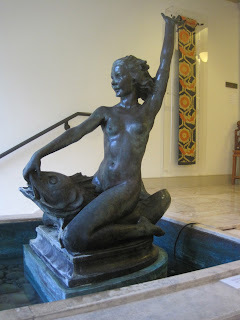 I adored this one with the girl riding the fish. On Friday night, I gave a talk about "Bonjour, Happiness!" and "French Women Don't Sleep Alone." Oh, and I taught a little writing workshop the next day. I had fifteen fabulous students. As part of their tuition, everyone received a copy of "The Writers Toolbox." Here are the notes from one gal. She got the phrase from the kit: "A half eaten box of Fig Newtons" and wrote the most beautiful and poignant short-short story from it. I love my students! Now, on to the Keys! Au revoir, Palm Beach! Bonjour, Key West! Looking forward to more beautiful photos!